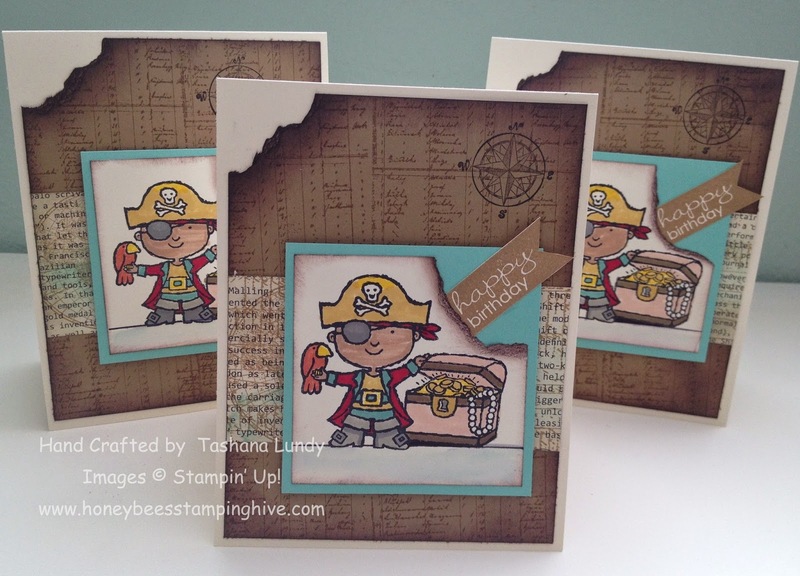 Honeybee's Stamping Hive: Hey, Valentine? Again! I decided it was only right to make a little boys birthday card with this stamp set. I used one of my favorite techniques on this card. Well, I guess two of them, torn edge and sponging. I don't like coloring so much, but I also give it a good try. cute! glad you turned the Valentine set into a boys B-day set because I always need little boy sets and there are not many. I don't know why I didn't think of it!